A BBC investigation has revealed that a previous film project of the producer behind the failed South West Film Studios also collapsed. A film by Alex Swan's firm Spider Republic was abandoned with the crew and suppliers out of pocket, Inside Out has learned. 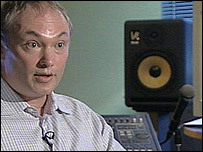 Police are investigating allegations of fraud after being called in by the administrator for the St Agnes studios. The £5.7m studios, built with nearly £2m of European funding, have closed. Built in 2002, the studio complex was one of the highest profile Cornish projects backed by Objective One, which channels European cash into the county's economy. 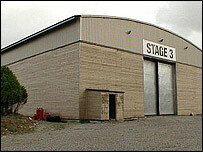 But the company behind South West Film Studios, the region's first film studio complex, went into administration in October last year. An investigation by BBC Inside Out programme has revealed Mr Swan's previous firm Spider Republic was abandoned with the crew and suppliers owed more than £300,000. Director of photography Sean Bobbitt said: "It's fair to say that he misled the crew about the true financial state of the production." Mr Swan was later cleared by the Department for Trade and Industry of wrongful trading and no action was taken. The Government Office for the South West, which gives the go-ahead for Objective One grants, declined to be interviewed, but said in a statement: "Concerns about Spider Republic's collapse were not considered sufficent to withold the grant." It has also been revealed that an Objective One panel which advises on media projects, disapproved of the scheme, saying it was not economically viable, but said they were not consulted until after the grant was made. The government office said some members of the panel were consulted. At this stage the investigation by Devon and Cornwall Police into allegations of fraud at the St Agnes studios is still ongoing and no charges have been brought.